Laurie speaks at schools across the country sharing her books and telling the stories behind the books. She also talks to students about the writing and publishing process, as well as where she finds her inspiration. In addition, she shares some of her early writing (as far back as third grade!) Presentations are 45-60 minutes and can be tailored to individual classrooms, groups of several grades, and entire schools for students K-8. 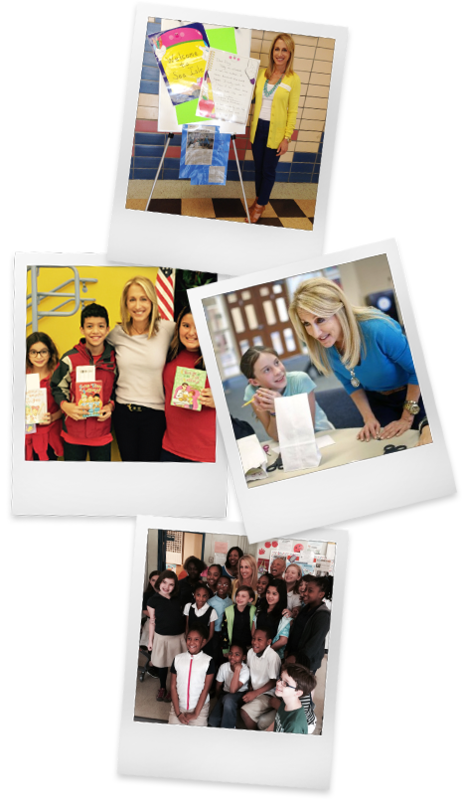 Her presentations are interactive and include a Power Point, bookmark giveaways, a Q & A with students, and a book signing. Laurie conducts workshops for students on all aspects of the writing and the publishing process. Workshops are available for students K-8 and are 60-90 minutes each. Her workshops are tailored to the grade level of the students and can accommodate up to 60 students per workshop. All workshops are interactive and include a Power Point presentation, student Q & A, writing exercises and time for students to present and share their work.